Nathan (Jacob Lince) is a 25-year-old man with autism struggling with his teenage, opiate-addicted sister Laura (Madison Ford) in writer/director Olicer Munoz's exceptionally rich and immensely engaging dark fantasy Nathan's Kingdom, screening in Indy this week as an Official Selection at the 2018 Heartland International Film Festival at sites throughout the city. In the film, Nathan and Laura have seemingly left their fantasy world behind them when we meet up with them, the harsh realities of daily living being more than enough of a challenge to keep the two busy as they fend off social services and struggle with the hardships of having come from a broken home. As children, Nathan had spent his younger years playing with Laura, his self-appointed best friend, and together they invited a fictitious safe haven they called "The Kingdom." They promised one another that one day they'd find it. Ten years later, Nathan's autism-fueled behaviors are on the rise as are those triggered by Laura's opiate addiction. While the two are the only family they've ever truly known, they're at risk of losing everything. Instead, risking their lives to discover a kingdom that once existed only in their imaginations, Nathan and Laura set out on a journey as Nathan outmaneuvers those pesky social service folks and takes Laura on a most magnificent mythical quest battling monsters, enduring epic wars, and confronting an underground civilization of ghouls all in hopes of finding "The Kingdom" that has the potential to forever transform their lives. 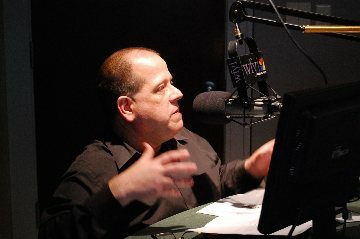 It would be nearly impossible, mostly owing to the film industry's rather poor record in casting performers with disabilities even when being called upon to play characters with disabilities, to review Nathan's Kingdom without paying attention to Munoz's known insistence that Nathan be portrayed by an actual actor on the autism spectrum. While it's not unheard of, it's incredibly rare, as many filmmakers are content to have aimlessly flailing non-autistic actors mimicking in the worst possible ways what it means to live with autism. Working with the Performing Arts Studio West, Munoz discovered Lince, who was diagnosed with high-functioning autism at the age of three, and set about to create this most adventurous film. Lince, as Nathan, gives a performance that couldn't possibly be mimicked. As both a young man with autism and as an actor, Lince immerses himself in a world of emotions and experiences and intuitively whirls himself around in them. It's a tremendous performance that is made even more tremendous thanks to his chemistry alongside an equally tremendous Madison Ford as his younger, wannabe actress sister who vacillates between a desire to be a young woman and a fierce loyalty to Nathan. Ford, who holds a degree in Film Studies and Creative Writing from Columbia University and has a diverse background that ranges from stand-up comedy to voiceover to straight-on acting, gives an insightful, intelligent and passionate performance as Laura and weaves herself into the fantasy world the film creates with precise discipline and commitment. Even the most loving and loyal loved one of a person with autism will tell you, if they're being completely honest, that sometimes it's exhausting and just plain difficult to be around someone with autism. The same is true with Nathan's Kingdom, a film that can be both exhausting and exhilarating and is the kind of film best served by those willing to surrender to it. 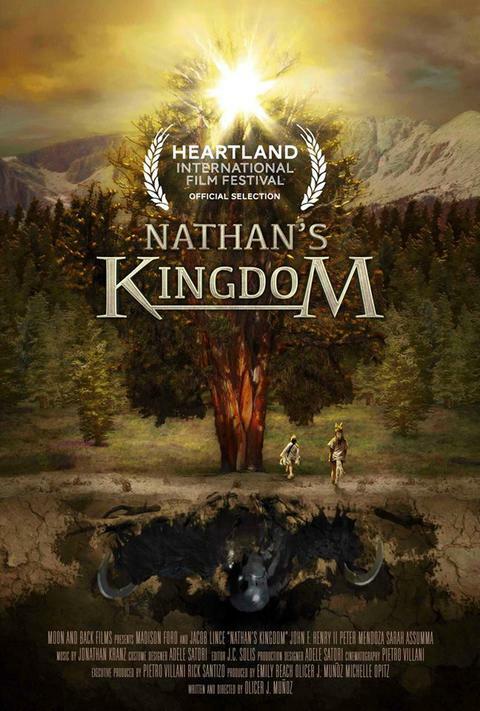 Winner of the Director's Choice Award at the Sedona International Film Festival, Nathan's Kingdom is a richly rewarding viewing experience yet also an immensely authentic one even as Munoz constructs, via 3D animation, a fantasy world that is truly rather fantastic. Refreshingly, there is no infantilizing of Nathan here. If anything, Nathan's Kingdom's journey reveals that as much as Nathan truly needs her she, indeed, also relies on her elder brother. "The Kingdom," from the opening scene, is lovingly yet believably constructed emotionally and physically - it's a place where pain, hurt, and sickness do not exist yet, most notably for both Nathan and Laura, it's also a place where loneliness is no more. It's a place they truly both need. Pete Villani's lensing is tremendous here working alongside the animation of William J. Meyer in creating a world that involves both dark fantasy and harsh reality, dark and light, hope and, yes, a little despair. It's a believable world, immersive and deeply moving. While Nathan's Kingdom is very much centered around the journeys of Nathan and Laura, the rest of the ensemble cast is strong including especially convincing turns from Peter Mendoza as Jimmy and John F. Henry's unforgettable turn as Noel. Nathan's Kingdom is the film that it needs to be, dark and difficult at times while intimate and safe in other times. It's a journey at times challenging, yet a journey that is immensely rewarding and special for a myriad of reasons that will cause the film to linger in your heart long after you've left the theater. For ticket information, visit the Heartland Film Festival website.